In order to renew your Fire Service Instructor status with the Division annually, you must complete the required instructional activity and continuing education requirements. In order to renew your State Instructor status with the Division , you must complete the required instructional activity and continuing education requirements. The 2017-2018 year runs from July 1, 2017 to June 31, 2018. To maintain the your status as a State Fire Instructor you must meet what is outlined in Fire 404.04 State Instructor: Maintenance status. At minimum you must have taught a minimum of 3 courses in a 12-month period or have participated in a commission-approved continuing education program. 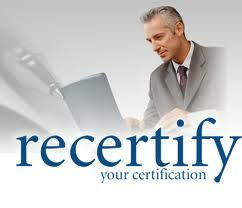 At this time the continuing education program consist of taking 8 hours of continuing education. You are not required to complete both sections, fulfilling the requirements of one section will complete the requirements. Please list out the course DATES, TOPIC, and CREF numbers of the courses. You must list out a minimum of 3 courses in which you taught. Please list out the course DATES, TOPIC, and CREF numbers of the courses. There must be a minimum of 8 hours. Click the plus sign at the end of the first line to add additional lines.